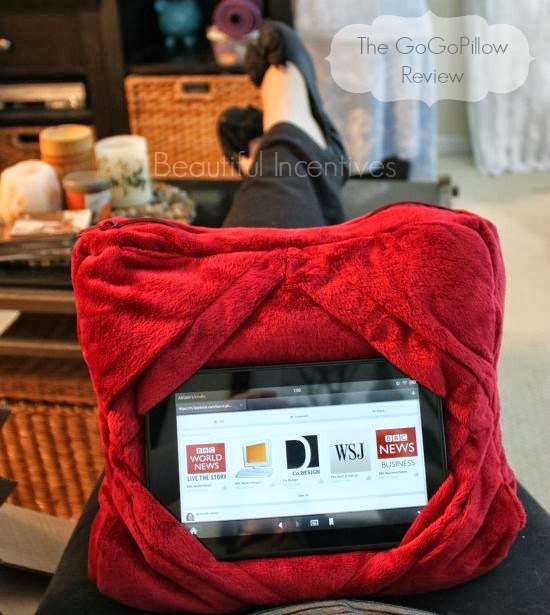 Beautiful Incentives: When the going get tough, the tough get the #GoGoPillow for #tablets. Plus, #Win it! When the going get tough, the tough get the #GoGoPillow for #tablets. Plus, #Win it! 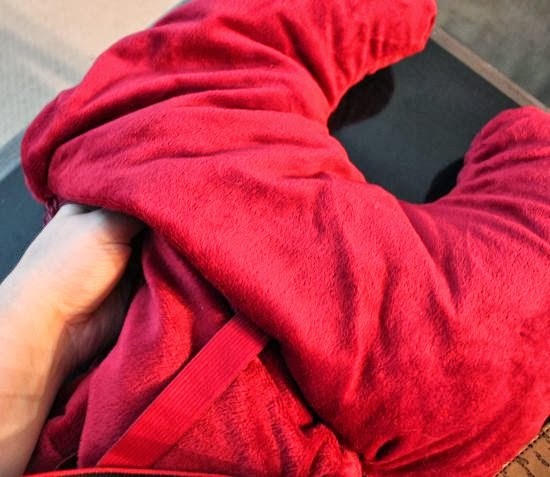 Do you ever have trouble getting comfortable holding your kindle or tablet? I know I do. Do you find that when you have traveled, you would have loved to have a cushy kindle or tablet holder instead of the hard case ones? There are plenty of hard cases, but what about something softer and comfortable to set on your lap? What if it doubled as a neck pillow? Well, i'm excited to introduce the GoGo pillow! The two in one tablet holder and pillow. Browsing my Facebook feed, just chillin on the couch. This pillow not only holds your kindle or tablet comfy in place, but it's so comfortable to rest on your lap or tons of other places. 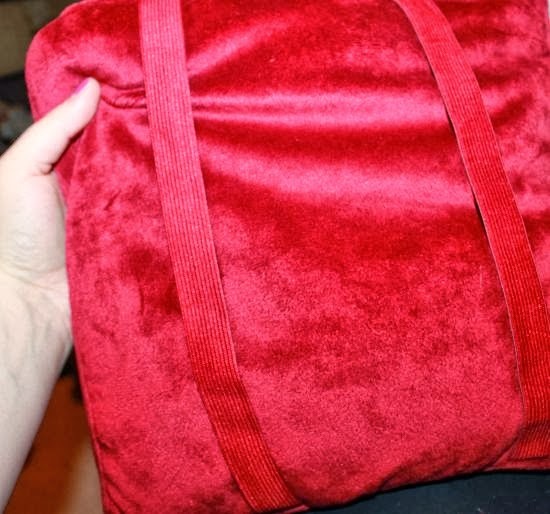 It features amazingly soft velvety plush material, with pockets sewn in to secure the tablet in place. There are two sizes , one for a kindle and another for a bigger tablet. This fits all standard tablets. I strive to seek out the beautiful gems in life and this is definitely one of them. I can't count how many times I could have used this on trips and just chilling at home. The fact that it doubles as a neck rest pillow is just awesome! This truly eliminates the need to bring extra things that can bulk up your luggage and no one wants a stuffy car. The GoGo pillow has many great features, but along with turning into a pillow, you can put it anywhere. It has two straps in the back, which enable you to secure the Go Go Pillow to different surfaces. Don't want to hold it? Secure it to the back of the car seat and tada, you're in a moving theater. The other thing I absolutely love is that it feels like a big beanie baby in that it molds to fit and secure itself on any medium! It also has a convenient slip through for headphones. They really didn't leave anything out! Picture you are in the car on a long road trip and it's time to get some shut eye. Your favorite show on the kindle has ended and there's 2 hours left of the trip. All you need now is a nice nap. Well, you simply take the kindle out of it's pillow pockets and turn the initial holder inside out into a neck pillow! Looks a little like a baby walker in this position lol but you get the gist! It is so simple, yet so genius how this works. 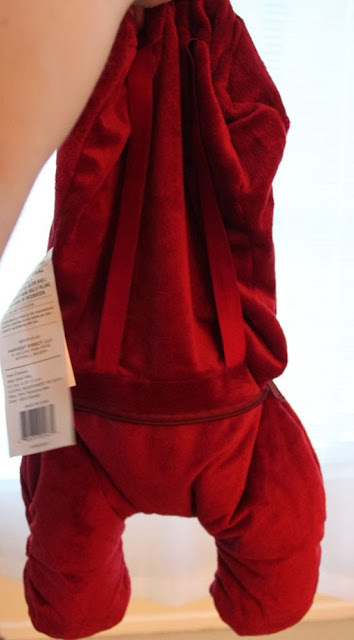 All you have to do is turn it inside out and tuck all the excess inside into the shape of a neck pillow. It took just seconds for me to unzip, flip and stuff! I know many of my readers have children and would absolutely benefit from this. This would help them nap easier during a long trip and when they're awake, keep them busy watching movies. They can also carry this with them in their back pack anywhere. I highly recommend the GoGo pillow for road trips, sleep overs, lounging out at the pool, camping or even working out. There are so many uses for it. It's not JUST for tablets though, you can use it for books and magazines! Just flip it over and use the straps. This is one neat invention and makes life easier both on the go or at home. Trust me, the next time you plan a trip, plan to buy this. I guarantee you will not regret it! The Go Go pillow I received for review comes in a variety of colors and designs. I chose the maroon and love it! At just $19.95, is there really a reason for hesitation? Right NOW you can take advantage of their two for one offer. Get two Go Go Pillows for the price of one, at $19.95! Just pay s/h! An extra one is also great to leave in the car, just in case you forget to bring one. You never know when it'll become useful! Gotta have one now? Get your tablet pillow here ! I definitely recommend it as a perfect gift this holiday! You can also find it at retailers such as Walmart, Target, CVS and Bed Bath & Beyond. I'm so excited to be able to give all my lovely readers a chance to win one of their own! I would use it reading in bed at night and definitely on long road trips. I would use it on my bed to read. I hate having to hold it and then the screen flips on me. On our road trips to California and weekend escapes, and perhaps in the bed so I don't have to hold the book, plus if it drops maybe it will help protect it. I would use it in the car. I would use it at home and in the car for my daughter on trips. I'd use it on long car rides! On the airplane when I go and visit my family!!! The pillow would definitely be handy when traveling. i would use it when i'm sitting on the couch! 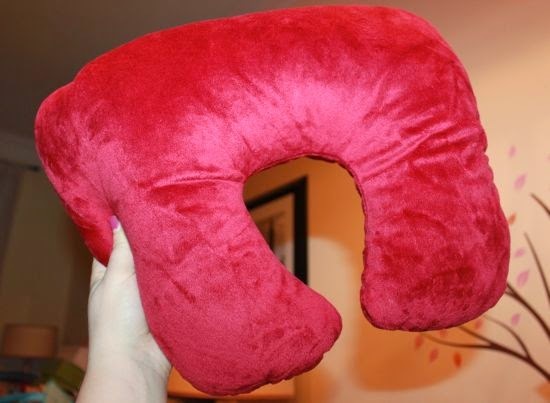 I'd use the gogo pillow on long flights!